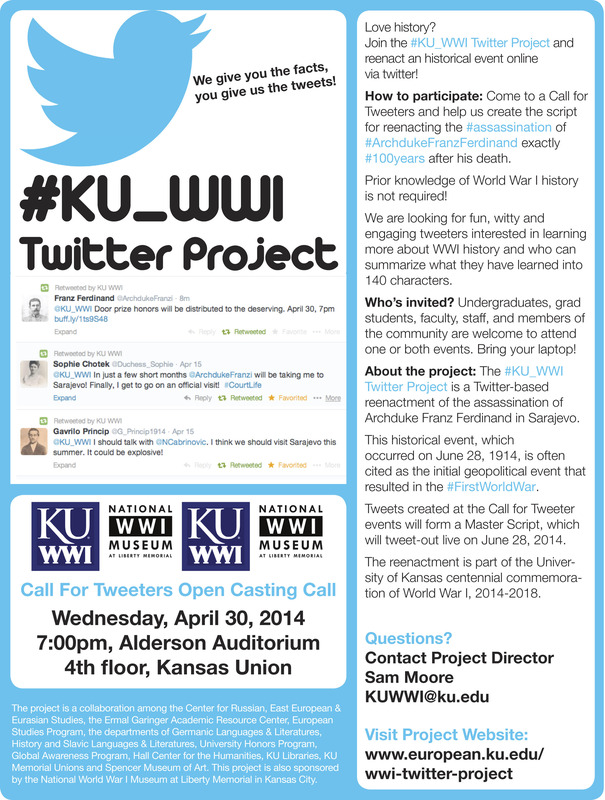 Please join us this Wednesday, April 30th at 7pm in the Kansas Union Alderson Auditorium for the final #KU_WWI Call for Tweeters. Everyone and anyone is welcome! This entry was posted in #KU_WWI Twitter Project and tagged Archduke Ferdinand, Lawrence Journal World by kucgis. Bookmark the permalink.